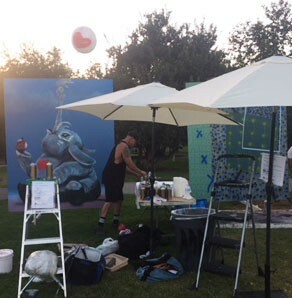 Artist Brett Crawford (painting with baby mastadon on the left) and myself were invited to create paintings live during the annual event. The event was organized by Launch LA and curated by KP Projects. I love that we both work with spray paint, but in entirely different ways!